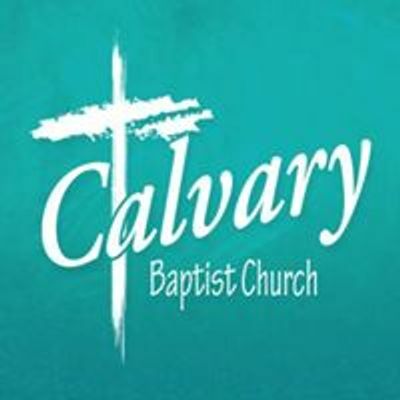 Starting Wednesday, March 6th, the Calvary Baptist Church will be hosting its annual Missions Conference. 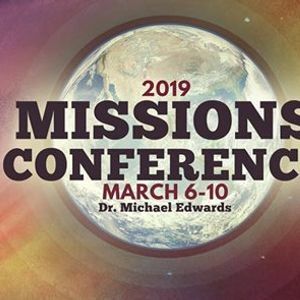 The conference will begin Wednesday night and continue to Sunday, March 10th. The services will be held each night at 7:00 pm. On Saturday, March 9th, at 6:00 pm, there will be an International Dinner in the gym. Please bring main dishes, sides, and desserts. Sunday, March 10th, will be normal times with Sunday School starting at 9:45 am, the AM service at 11:00 am, and the PM service at 6:00 pm. Dr. Michael Edwards will be the guest speaker for this conference. 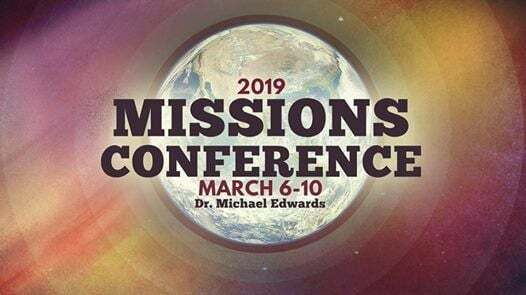 Missionaries Robert Becker to Argentina, Kevin Bennett to Hong Kong, and Thomas Irvin to Uganda will be joining us along with their families to share their work.